You are here: Home / Reviews / Stouffer’s and “Ice Age” = Movie Break! 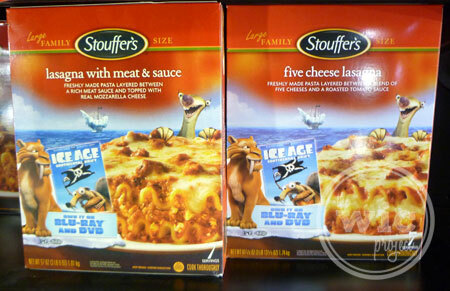 Stouffer’s and “Ice Age” = Movie Break! The holidays can get pretty hectic sometimes. Running from store to store, wrapping presents, cooking food – all of that on top of regular housework, blog work, design work. Sometimes you just need to take a break and spend some time with friends and family. One of my favorite ways to relax is to have a nice, at-home, dinner and movie night. 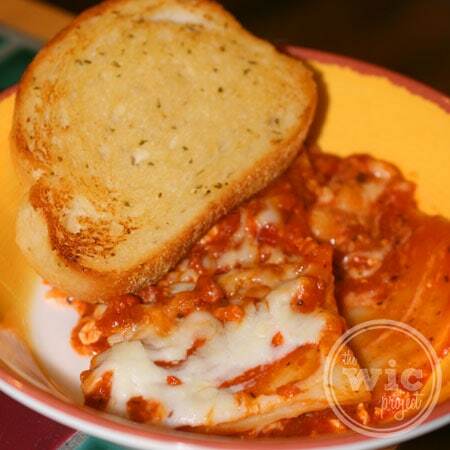 Of course, it wouldn’t be a relaxing movie night if you had to prepare a big meal, so finding an easy dinner option, such as Stouffer’s Lasagna and New York Texas Toast, can be a big help. During our latest trip to Walmart, I stocked up on a few “movie night essentials” so we could kick back and relax a little bit during this busy holiday season. If you’re an Ice Age fan (and really, who isn’t) make sure you look for the specially marked packages of Stouffer’s Large Family Size Lasagna. You might find a coupon for a free bag of Wonka Candy when you buy both Stouffer’s Large Lasagna and New York Texas Toast. Unfortunately, my Walmart’s Stouffer’s didn’t have the coupons, but that didn’t stop me from picking up a Stouffer’s Lasagna with Meat Sauce. One of my favorite parts of eating pasta is the delicious breads that you get eat on the side. If you haven’t had New York Texas Toast before, you’re missing out. 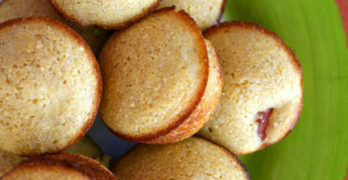 Texas Toast consists of thick slices of bread, coated on both sides with butter (or margarine), seasoning, and/or garlic. 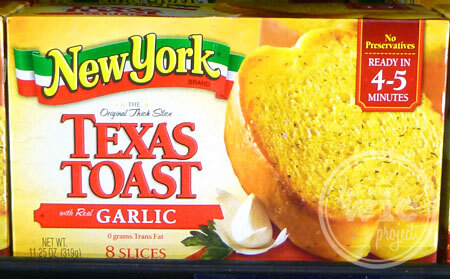 We picked up a box of New York Garlic Texas Toast and I couldn’t wait to get it home to cook. Usually during movie nights, we cook up some popcorn as a snack. 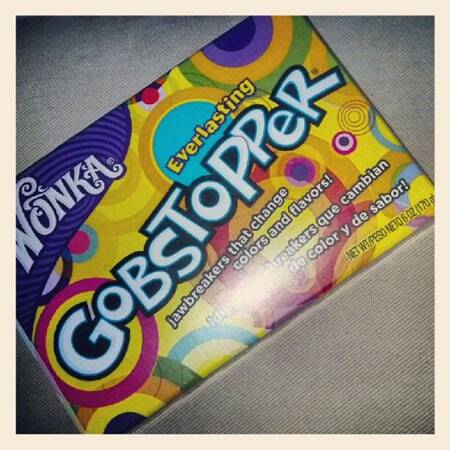 This time, since we were having lasagna and Texas Toast for dinner, I thought we could go for a movie snack that’s a little sweeter with some Willy Wonka candy. Once we had the food and the snacks, it was time to select the movie. There are a lot of new releases out there, but we wanted a movie that would be light-hearted, funny, and suitable for everyone. 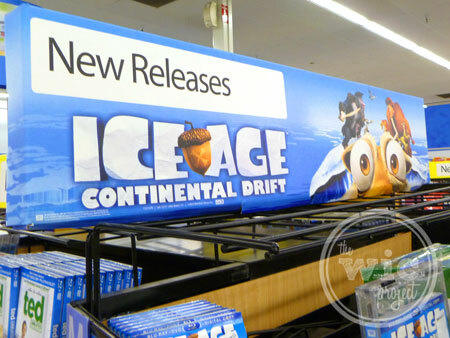 Released on December 11, 2012, Ice Age Continental Drift fits the bill, and since no one had seen it yet, was the perfect choice for our next movie night. Last week, this household was busy with holiday prep. Setting up the tree, pulling out decorations, getting the house “holiday ready”, so to speak. We all deserved a little break so we could really “enjoy” the holidays. I threw (aka carefully placed) the Stouffer’s Lasagna in the oven and let it back up to the perfect, oozing, cheesy, meat-filled entree. While it cooled (for 5 minutes, as directed) I toasted up the New York Texas Toast. The result was a completely delicious dinner that required minimal effort on my part to prepare and allowed us to watch the movie that much sooner. In “Ice Age Continental Drift”, the world is changing. New continents are forming and Manny, Diego, Sid, and Granny are separated from the rest of the herd. We get to watch this brave group battle pirates, sirens, and ocean creatures as they try to get back to land. This was such a great movie to watch. Not only did it have some funny moments, but it also had some subtle lessons – such as staying true to yourself, being brave, and not judging a book (or a granny) by it’s cover. I particularly enjoyed when Manny and the hyrax band together to steal the pirate’s, Captain Gutt’s, ship. This holiday season, make sure you take the time to actually relish the holidays as well. Spending time with loved ones is supposed to be fun, happy, stress-free times. With easy dinner solutions like Stouffer’s Lasagna and New York Texas Toast, and a family-friendly movie like Ice Age 4, you can spend more time with your family than your oven.